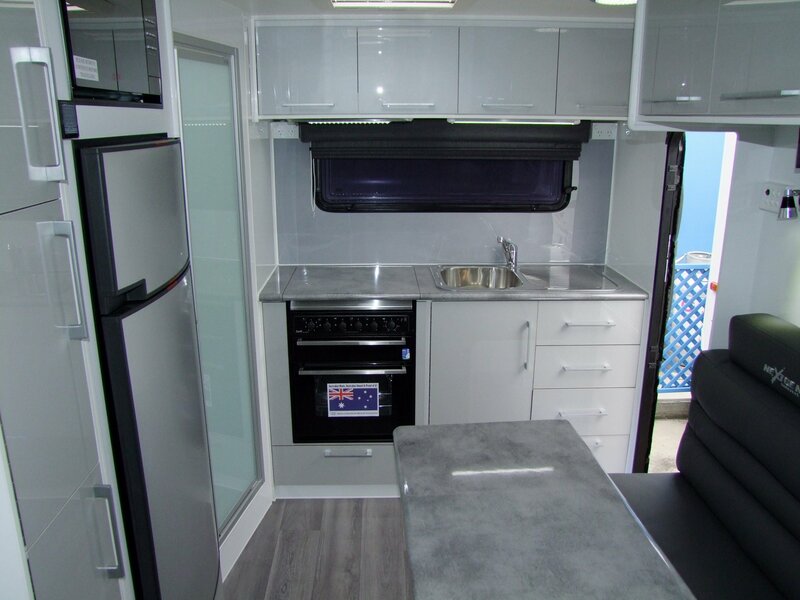 This compact 15’ full caravan is packed with extras and will take you anywhere your heart desires! 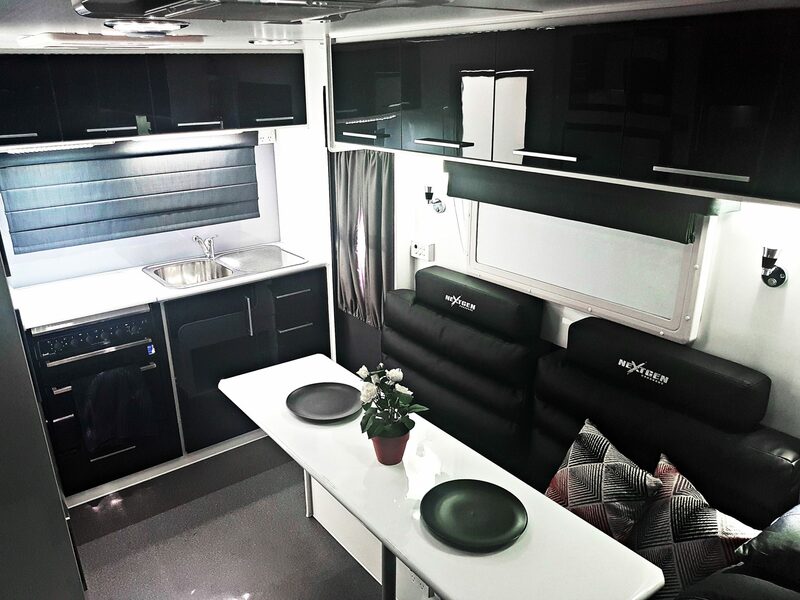 It has been designed for those who love to live outdoors whilst still maintaining a high level of comfort and luxury inside. 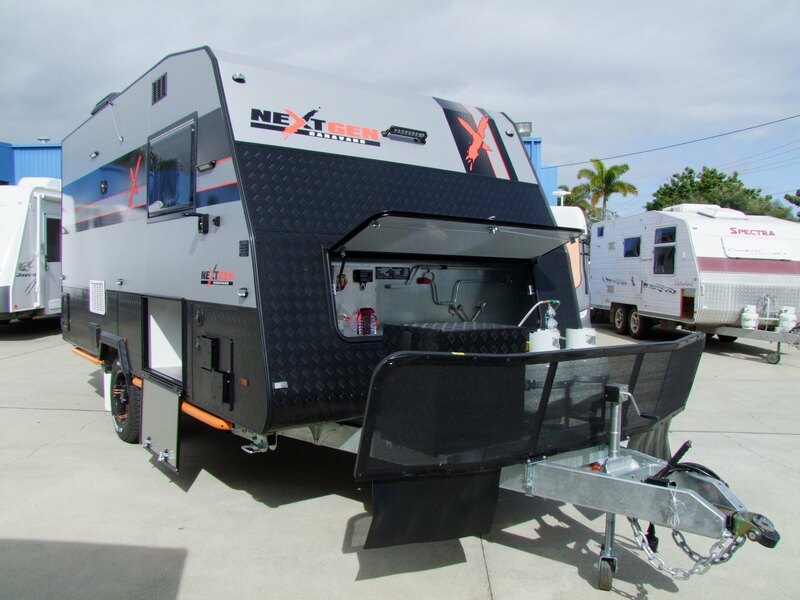 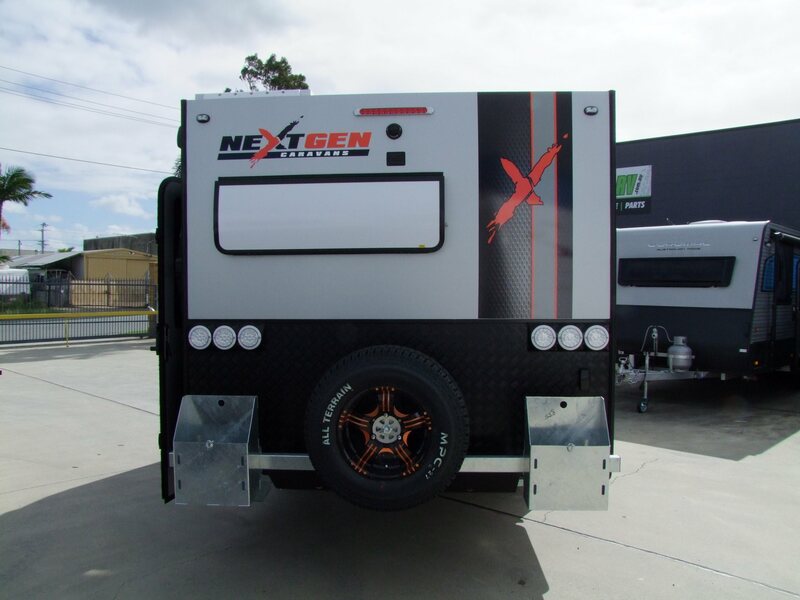 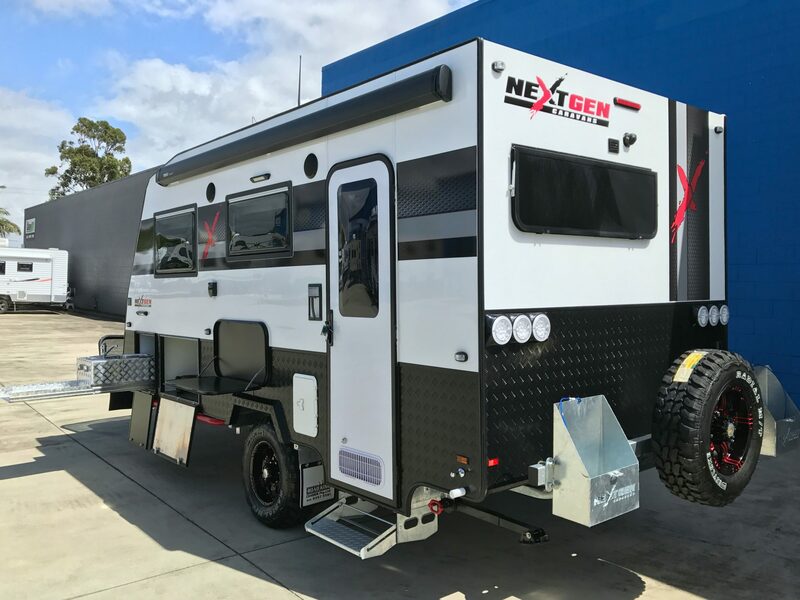 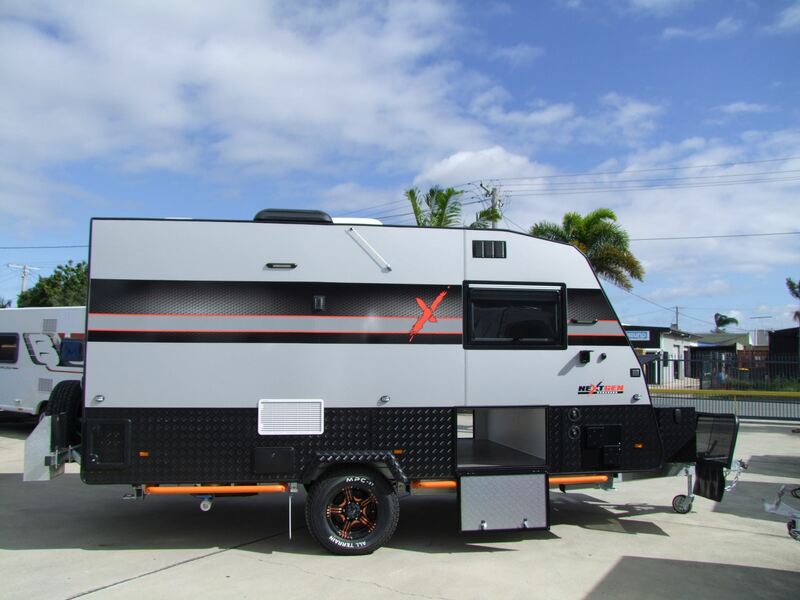 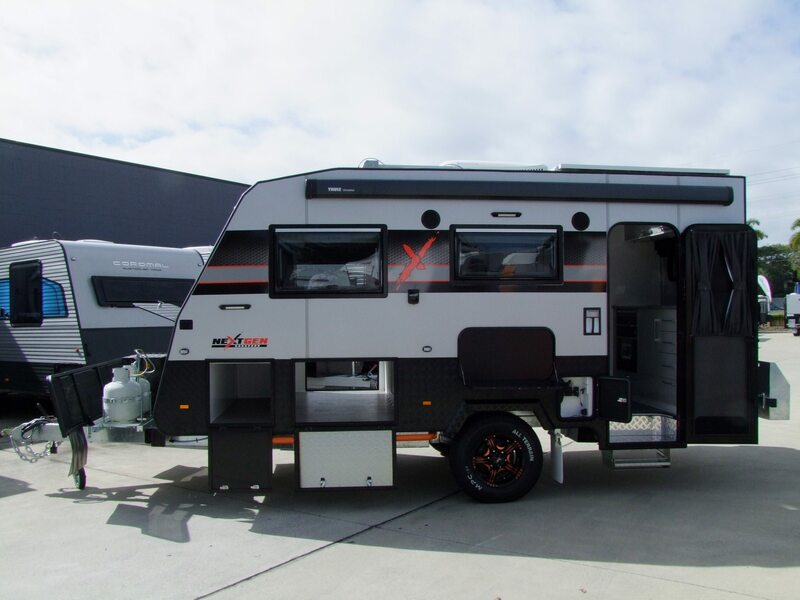 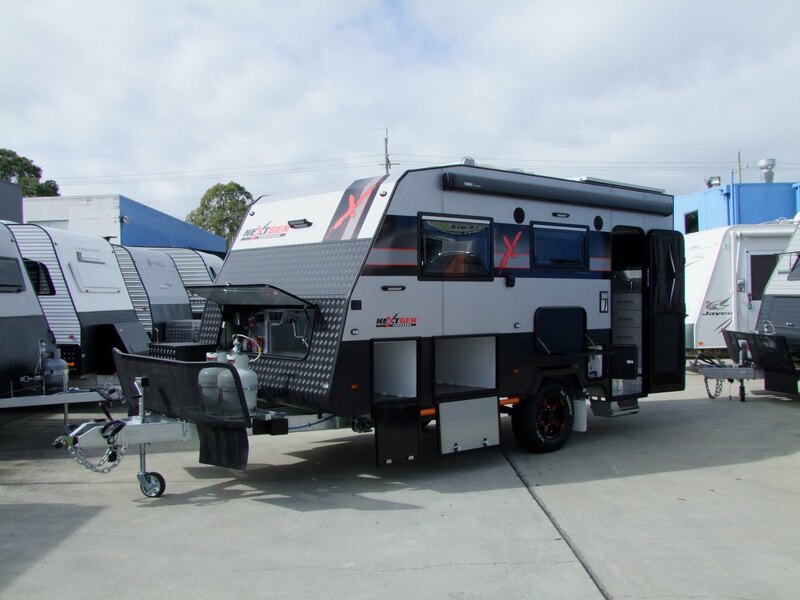 Fitted with ALKO Enduro Independent Suspension, 12” Drum brakes, 16” off-road wheels, a 6” Galvanised A-frame and Chassis, DO35 off-road hitch, full composite one piece panelling and side protection scrub bars the NextGen X is an off-roaders dream. 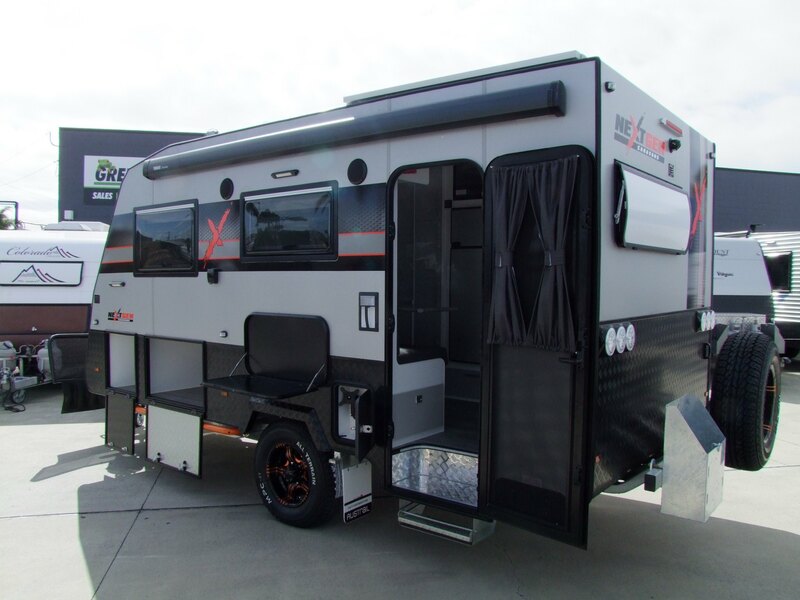 Step inside and you will find an abundance of storage, a combination shower and toilets with vent fans and vanity bowl, reverse cycle airconditioner, piano hinges fitted to all cupboards for strength, a pillowtop mattress for the ultimate comfort and LED lighting throughout. 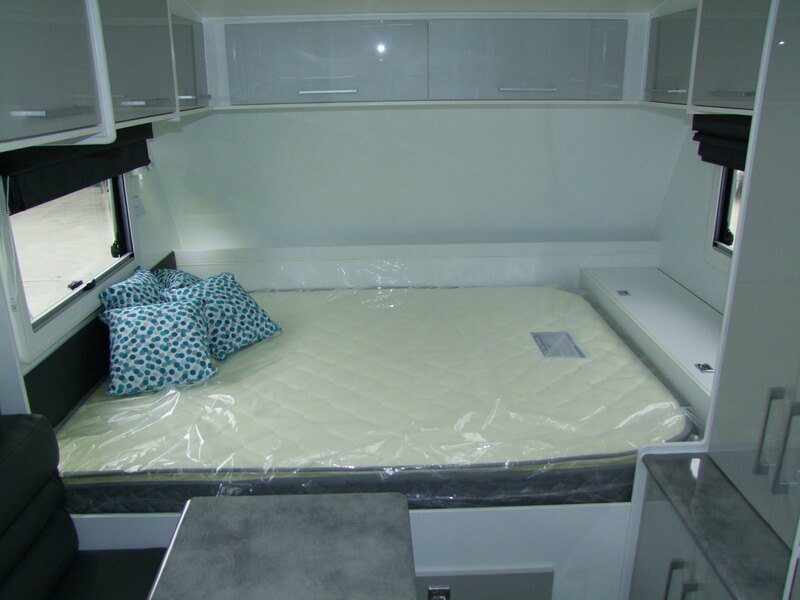 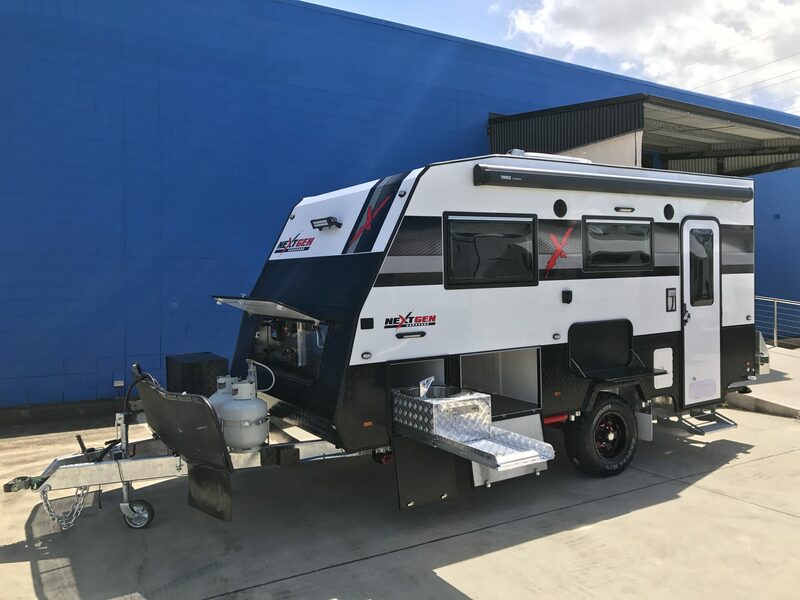 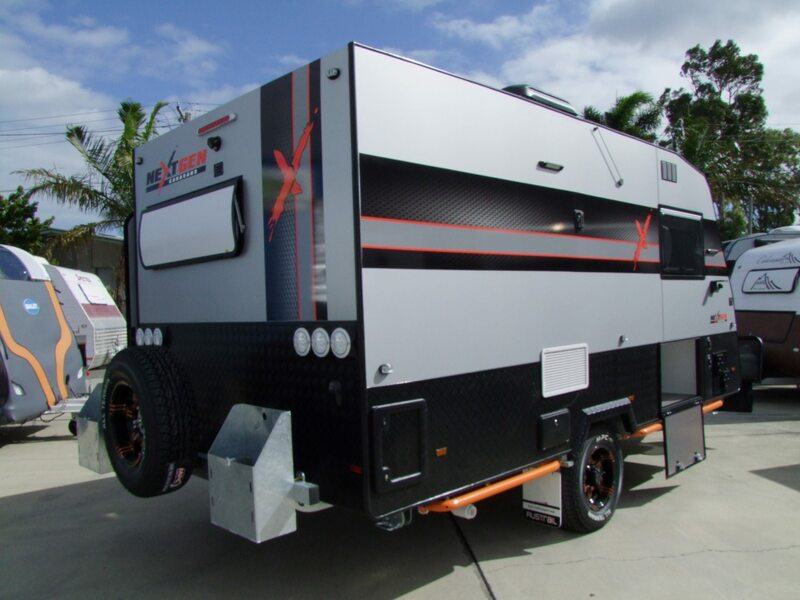 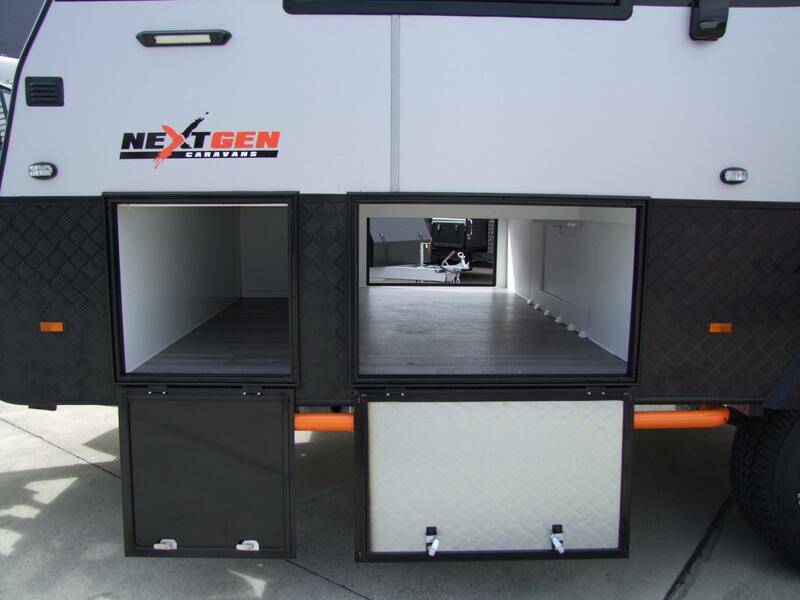 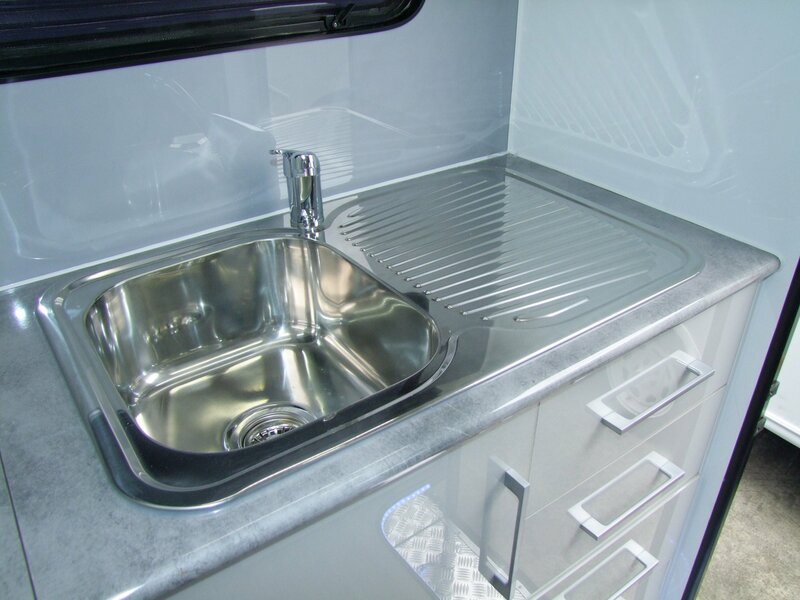 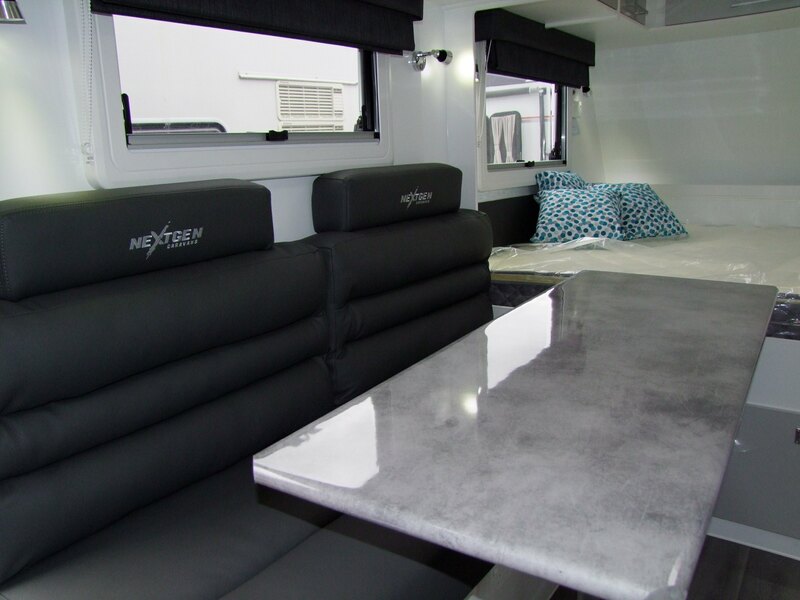 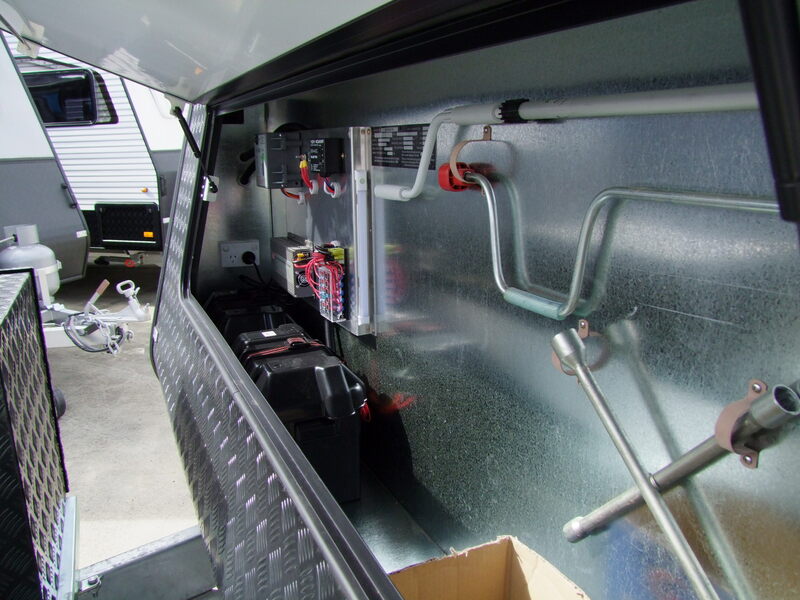 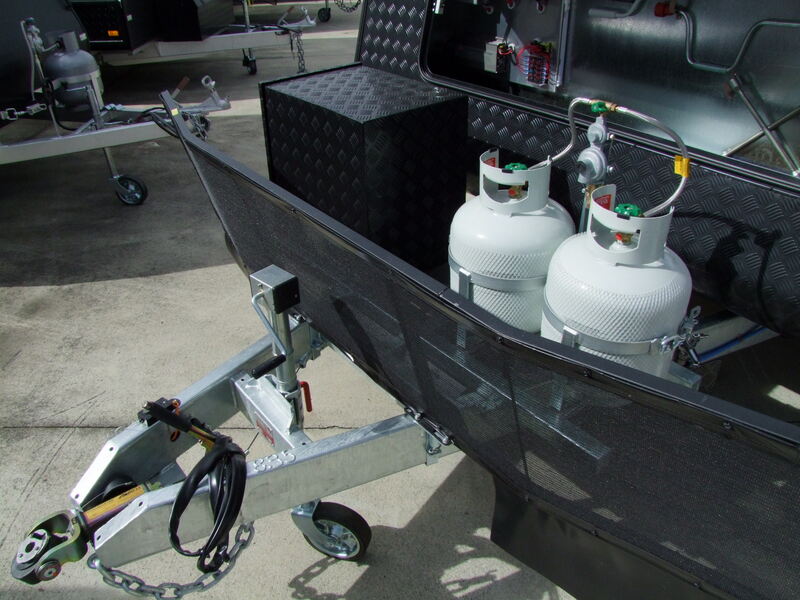 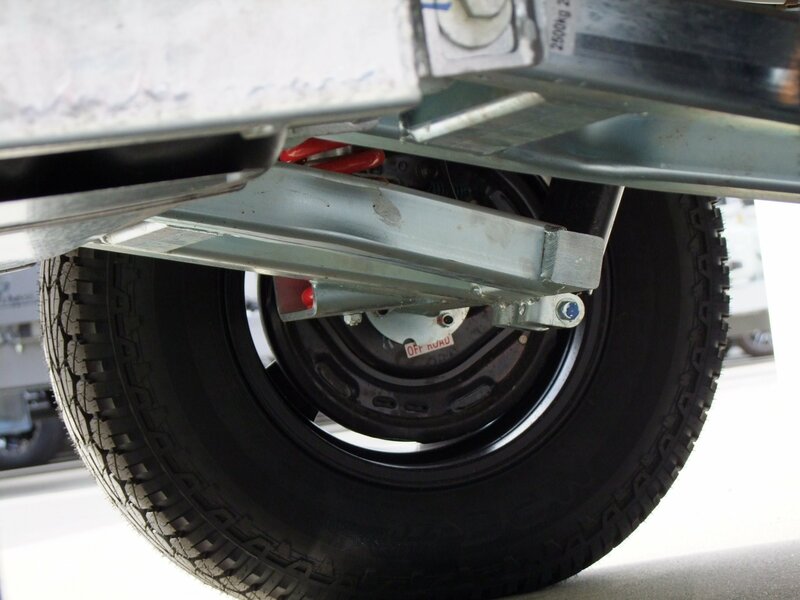 The quality of this Australian built chassis and the attention to detail in many areas including abrasion-free tracts for hand brake cables, professionally finished welds, enclosed chassis endplates and thoughtful touches such as standard hooks to hold safety chains when the van is unhitched, are among the features one comes to expect when buying a NextGen Caravan.